Yoruba girls will meet your definition of archaic and indigenous women who know how to play their cards well in marriages. You can be sure that they would handle the affairs of your home with wisdom as they seem to have gathered a wealth of experiences before being married.Since we have talked about the important things to know before marrying an Igbo girl, it would not be fair for us not to check out the same for Yoruba girls. 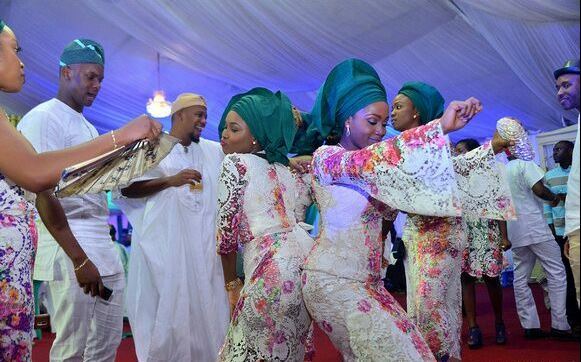 Yoruba girls have interesting cultural background, there are many interesting sides to them. There are many things you need to know about Yoruba girls if you want to marry them; this would at least prepare your mind as to what to expect in the marriage. Marriage is a life long journey that you need to prepare for. It is a bit tasking as two different individuals with different orientation and backgrounds are coming together to become a unit. It is definitely not a child’s play. Coming back to Yoruba girls, they are ladies that would not fall your hand when you take them out to parties. The way they would blend at the party would make you think they were born for that purpose alone. They would never fall your hand as they always find a way of representing one way or the other. Before we delve into the issue at hand, we know you like Yoruba ladies because of their huge backside. Before you get married to a Yoruba girl, you should know that her Saturdays would be booked. There would always one party of the other for her to attend. Even when she does not have valid invitation card, she would find a way to create a bond with the host and give you a reason why she has to be there. They take it upon themselves to celebrate with people around them. This means you will keep buying asoebi as long as you are married to them. Yoruba girls are so respectful. They would greet you in the morning when they wake up and when you are leaving for work. There is always a greeting for everything they do and they do not ever get tired of it. Even when they do not like you, they would still do their normal greetings. Once they recognize you have money, they would not stop greeting you till you drop something. Before you go on to marry that Yoruba girl, you need to have a certain level of hygiene yourself. This means that you must be someone who cannot tolerate dirt in your immediate environment. Most Yoruba girls struggle in this area and you have to be ready to encourage them while you upgrade them to your level of cleanliness. Yoruba girls are wonderful cooks; they do not mind cooking morning, afternoon and night for you. They would feed you well while you are married to them. You can be sure that they would take care of your children too. They would train them the best way they could and feed them well. If you know all you want to do is play, then please know the kind of girls you would choose. Yoruba girls would always find a way to clinch to you once they like you. Before long, they would be carrying your child. Don’t even bother talking to them about abortion. This means you have gotten yourself a baby mama. Yoruba girls do not mind getting pregnant for you if it means they would get a share of your properties. Yoruba girls can never get it wrong with their dressing. Please, we are not talking about those ones that have not seen the modern day light. Every tribe has people like these amidst them. But the modern day Yoruba girls can dress for Africa. They know how to tie their gele so well you would be proud of them there and then. If you want to marry a Yoruba girl, then you have to be prepared for all the spices that would enter your life. Yoruba people love eating pepper; they would add this to every meal they cook. Even their puff-puff has pepper in it. If you have ulcer and do not like pepper, you may need to leave special instructions for your wife to be otherwise, she would flood your life with pepper.